There once lived a man named Jonah. 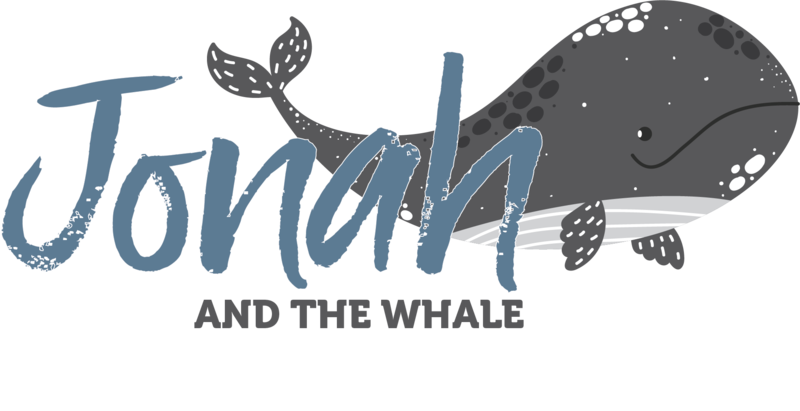 Jonah loved God and loved sharing God with others. He would travel from town to town and tell people about the good news of God's love. One day God told Jonah to travel to the land of Nineveh and tell them to turn from their sin and obey God. Jonah did not want to go to Nineveh. Nineveh was known for not being a nice place. The people who lived there were very evil and did evil things. Jonah did not want to show mercy to the people of Nineveh. He did not want to share the love of God with them. So instead of listening to God and following His command, Jonah decided he would run away. Jonah hopped on a boat and started to travel far away from Nineveh. Shortly after the boat left, a great storm arose, and it tossed the boat violently across the ocean. The men aboard grew very scared of the storm and started to pray to their gods for rescue. The captain went to find Jonah, who was asleep below deck. He told Jonah to start praying for deliverance from his god. The captain did not know that Jonah believed in the one TRUE God. Above the crashing waves, Jonah yelled to the crew, "I believe in the Lord, the God of heaven, who made the sea and the land. I am running away from something God asked me to do. It is my fault this storm is happening. If you throw me into the sea, the storm will surely stop." The crew members, not wanting to die, hurled Jonah into the ocean below. The storm immediately halted, and the sea became calm and peaceful. However, Jonah was sinking like a heavy rock. But God sent a large fish, as big as a whale, to swallow Jonah to prevent him from drowning. Jonah stayed in the smelly belly of the fish for three long days and nights. Can you imagine living in a fish for three days? It would have been dark, slimy, and probably did not smell very good either. On the third day, God had the giant fish spit Jonah out on the shore. God told Jonah, for the second time, to travel to Nineveh and tell the people to stop disobeying and acting badly. Learning from his first mistake, Jonah traveled to the city of Nineveh as God instructed. Jonah told the King of Nineveh that God will punish the city if they do not turn from their evil ways and obey God. Much to Jonah's surprise, the King instructed the city to stop disobeying and follow God's commands. Jonah left the city slightly frustrated with God. Jonah did not believe that the city of Nineveh deserved grace. Jonah wanted God to punish them. God explained to Jonah that He loves everyone and wants everyone to follow Him and His commandants. God showed grace to the city of Nineveh just like He showed grace to Jonah when he ran from God. What are some ways God has shown us grace? What are some ways we can show grace to others? Read and memorize the verse below during this month.